Right after the outstanding visit to Domaine Faiveley, we made our way to Bouchard Pere & Fils late after 5.00 PM on 25 September 2015, highly respectable in the negociant business since 1731, which has also gone on to own its own vineyards, particularly the Grand Crus of Le Corton, Corton-Charlemagne, Chevalier-Montrachet and that Holy Grail of whites, Montrachet. 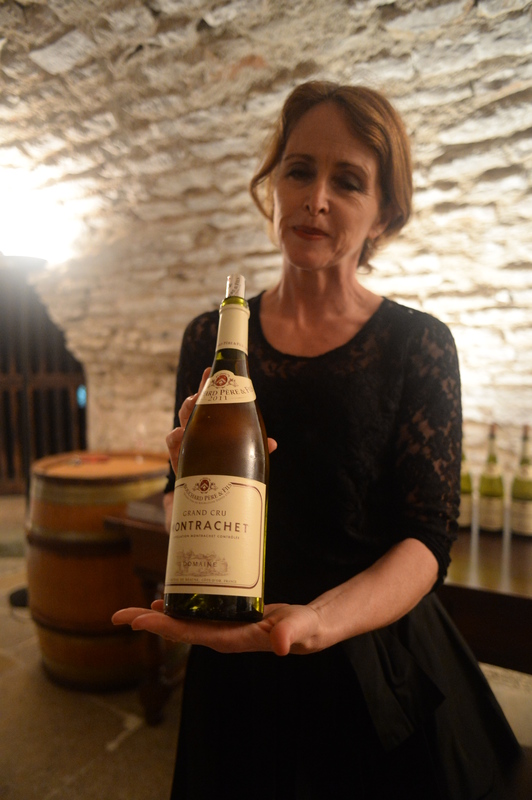 We were welcome by Ms Viviana Jaimon who wasted no time bringing us down to its extensive centuries-old cellars that was originally a fortress in the 14th century, its extensive labyrinth of tunnels connecting five towers that guarded the old city of Beaune. 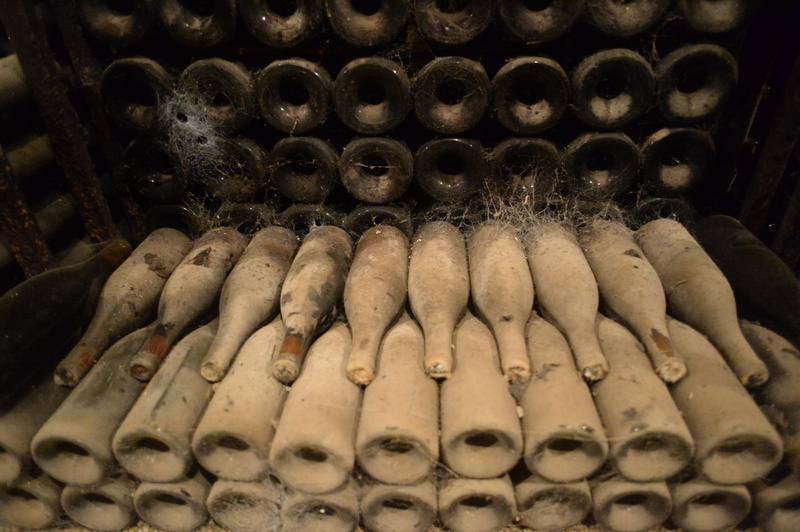 No less than two million dust and mould-covered bottles lie peacefully within the cellars, some for well over a century, the oldest being a 1846 white. For that, we have to thank the owners for sealing up the cellar behind four walls during the War to prevent the Nazis from looting its contents. If every winemaking firm in Beaune owns a cellar, countless tunnels and corridors must, indeed, exist beneath the cobblestone streets of Beaune which, surely, must be the case. After trudging through the cellars and salivating over all the bottles that lay within, we emerged into the tasting room, tasting the wines in the order listed. While I found the reds to be underwhelming, the whites, on the other hand, were truly excellent. All wines had been aired in bottle for about 8 hours prior to tasting. 2012 Bouchard Pere et Fils Volnay Caillerets Ancienne Cuvee Carnot 1er. Dark cherries and other dark tones, earth and forest floor. Tight, not yielding much. 2012 Bouchard Pere et Fils Beaune Greves Vigne de L’ Enfant Jesus. Red fruits, darker wild berries, some vegetal trace, fair intensity, rounded. Short. 2012 Bouchard Pere et Fils Le Corton Grand Cru. Plums, tangerine, soft, fairly intense. Lacks layering and character for GC. 2012 Bouchard Pere et Fils Chambertin Clos de Beze Grand Cru. Structured, suggestion of power on the nose. Masculine and velvety on the palate but the fruit is rather shy and backward. Could do with more layering. Not distinguished for what is supposed to be on par with Chambertin. 2013 William Fevre Chablis Les Clos Grand Cru. Powerful nose of white flowers with a hint of tropical fruit, crisp but very pleasant and easy with subtle minerality. Very elegant. 2012 Bouchard Pere et Fils Mersault Genevrieres 1er. Generous notes of white pepper and clear citrus but too generic. Lacks character. 2011 Bouchard Pere et Fils Corton-Charlemagne Grand Cru. Aromatic, good concentration, layered with tropical fruits and white flowers, well integrated with plenty of acidity. Lengthy. Very promising. 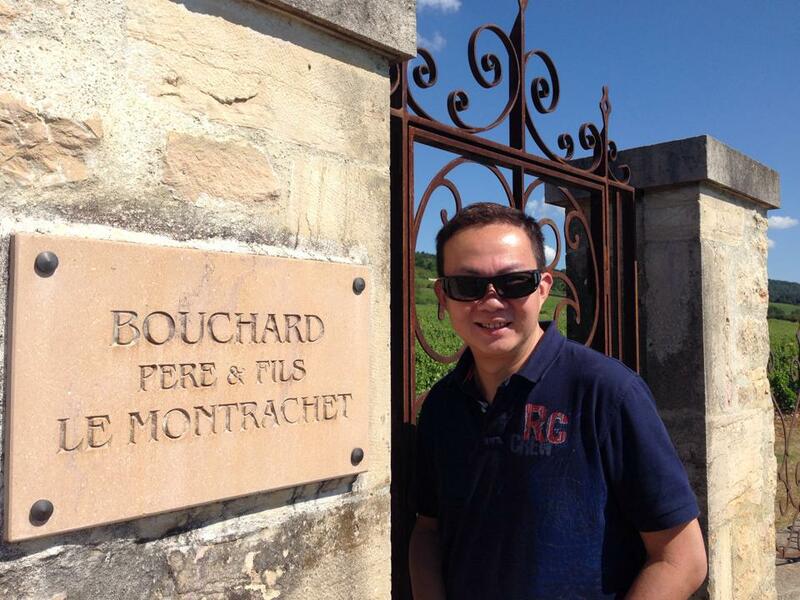 2011 Bouchard Pere et Fils Chevalier-Montrachet Grand Cru. Racy ripe tropical fruits, pineapples, apricot, butterscotch and crème de la crème. Crisp with excellent concentration and intensity. Good complexity. Excellent stuff but still a notch below Montrachet (below). 2011 Bouchard Pere et Fils Montrachet Grand Cru. Powerful, glowing with notes of tropical fruits, intense citrus, enamel, vanilla and crème de la crème with a hint of steeliness. Lengthy and elegant. Not showy at all. Great mouthfeel. Already highly complex even in its youth but still tight. Quite outstanding. I must thank Bouchard Pere et Fils for such a generous line-up of wines for tasting, and to FICOFI for making this visit possible. I’ll be certain to pay more attention to their whites in future.